This Americanized remake of Yam Laranas' own movie “Sigaw” sees a man who'd been in jail returning to the apartment of is mother. She had died an agonizing death, retreating into her closet to escape an unseen force. This force becomes all too real when her son's already dysfunctional life gets infiltrated by the apparitions and disturbing sounds plaguing the living space. Reconnecting with his old girlfriend and getting back into the arduousness of daily life like a mechanic job is complicated further when these materializing disturbances become more and more vivid, and dangerous, as the dark presence tries to communicate with him. 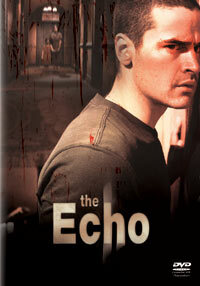 At times The Echo feels a bit drawn out but for the most part a few good scares make up for it.